Marking another twist in the investigation into the death of former national rugby player Wasim Thajudeen, the CID said today that Thajudeen’s mobile phone had been found in Agarapathana, Nuwara Eliya. The CID said that the phone had been taken away from the crash site by a person who is yet to be identified, and had sold it to another. The phone according to CID had been purchased by several persons and eventually come into the possession of a person in Agarapathana. The CID said it had found the phone in the possession of the Agarapathana resident a week back. Thajudeen died on May 17, 2012. Earlier it was ruled as an accidental death but a recent investigations by the CID had uncovered that the player was tortured before his death with blunt and sharp weapons. Following a court order recently the body of Thajudeen was exhumed from his burial site at the Jummah Mosque Cemetery in Dehiwala. The CID in their fresh investigation into the Thajudeen’s mysterious death had found evidence that he was abducted and tortured prior to his “staged” accident. Thajudeen’s death has garnered wide spread media and public attention as there have been unconfirmed allegations that some powerful political personalities of the previous regime could be involved in the murder. The CID had earlier informed that they were looking to question three Presidential Security Division officers who served during the former President’s Rajapaksa’s time about the murder. 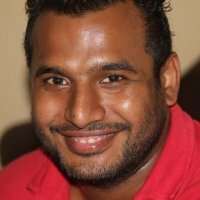 There has been speculation in the media that former President Rajapaksa’s son Yoshitha may be involved as he is said to have had an altercation with Thajudeen over a girl friend. Former president Mahinda Rajapaksa on August 09, 2015 denied his son was involved in the alleged murder.